Exciting news! This week, hundreds of new voices joined our call for investments in schools and services. From prominent Oregon businesses to the editorial board of the state’s largest paper, the message is clear: Oregon can’t wait for investment! With the end of the Legislative session almost upon us, this support is more important than ever. We need bold action from our legislators now. They’re right, and we’re ready to take that message to the Capitol: In less than two weeks, the A Better Oregon Coalition will come together for its largest event ever. 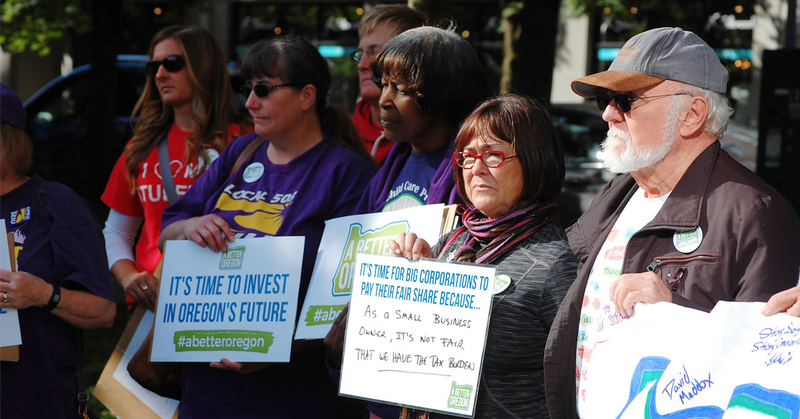 On June 6th, more than 1,000 supporters are storming the steps of the Capitol to make sure legislators know that Oregon can’t wait for revenue.